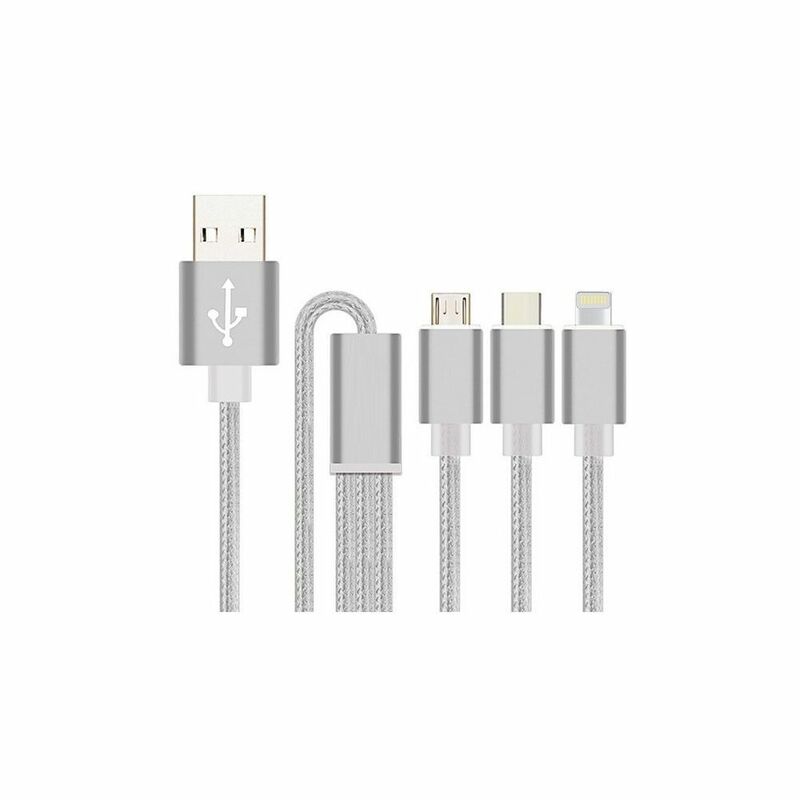 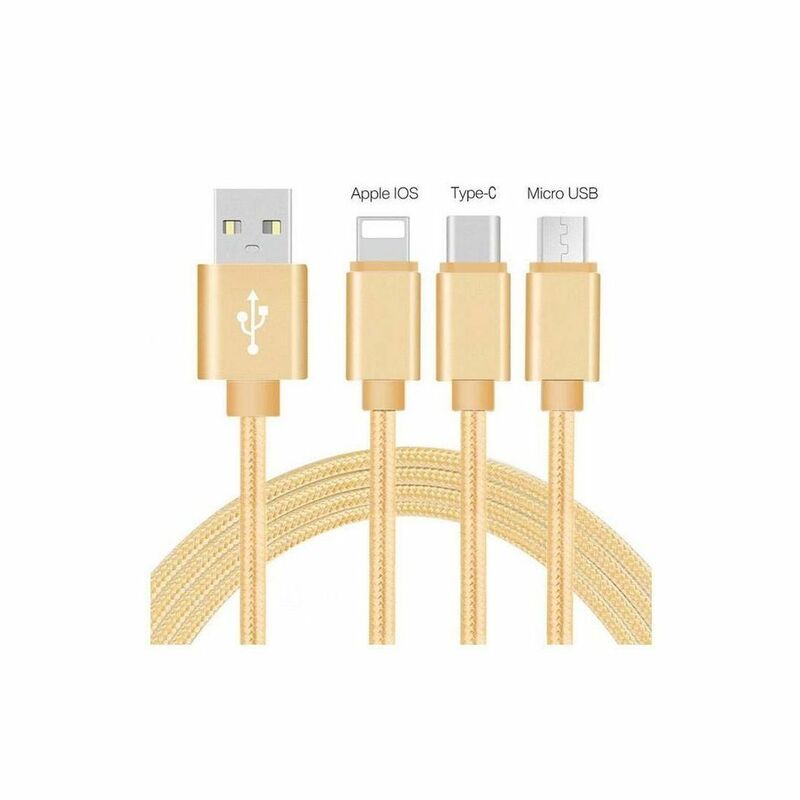 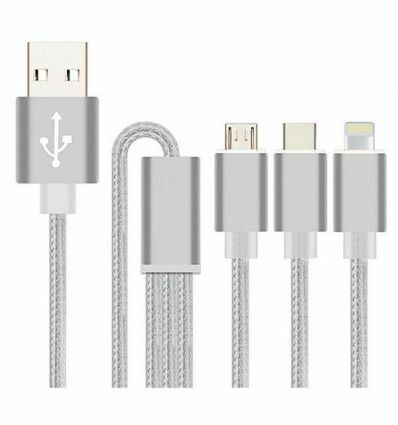 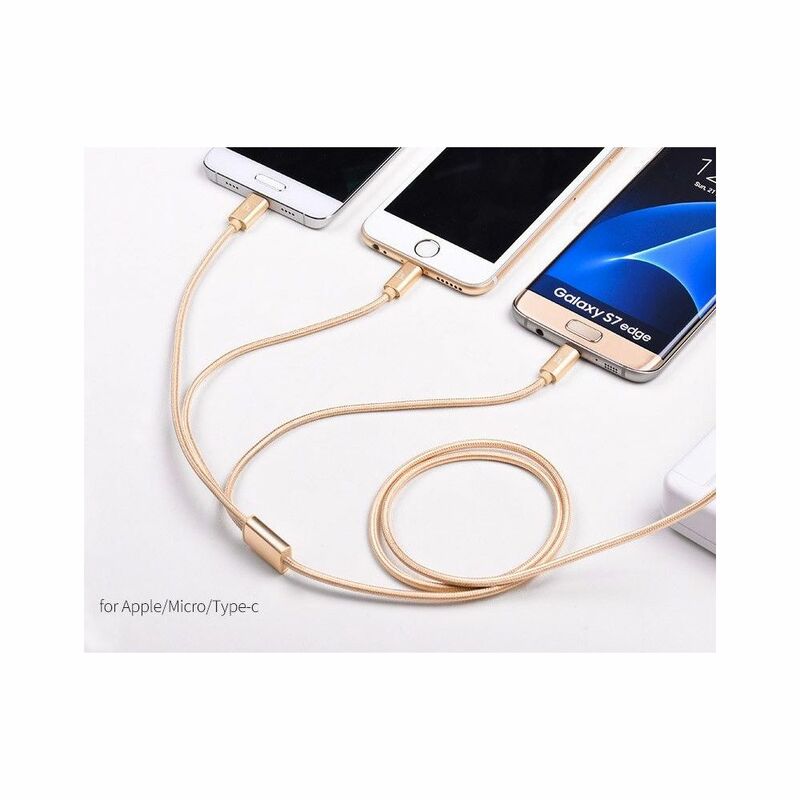 Universal USB charger & sync cable for Apple, Type-C and Micro-USB, 3 in 1. 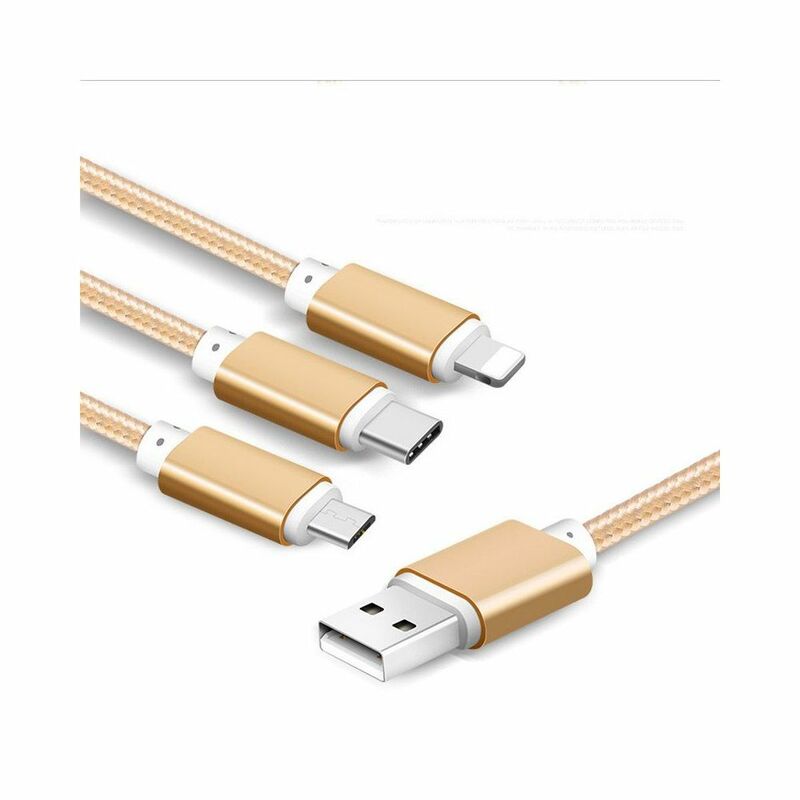 Handy 3-in-1 universal USB 2.0 charge & data sync cable, 1 cable suitable for all your devices. 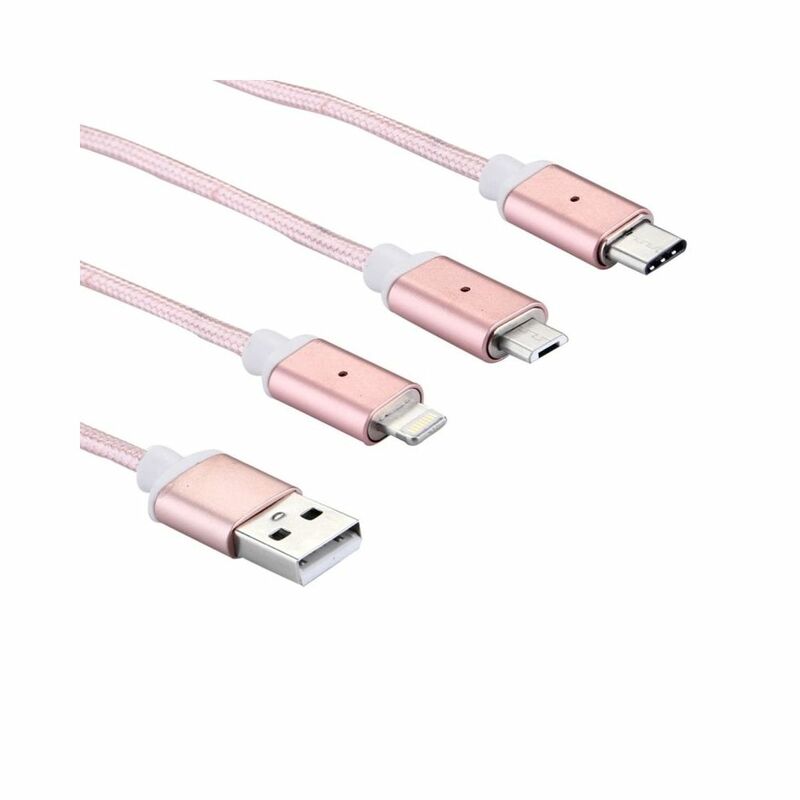 1.2m length woven nylon high-speed cable with a throughput current of up to 2.1A and is able to charge 3 devices simultaneously.